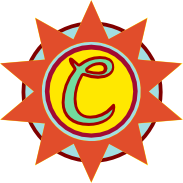 Welcome to the Cascabel Community Center Web Site. The Cascabel Community Center is a gathering place for members of the rural community along the San Pedro River between the bridge at Tres Alamos and the northern reaches of Redington. The center is located just east of Cascabel Road, midway between mileposts 23 and 24, on a small rise overlooking the river valley. Cascabel, A place to remember. Click the image below to read the book. Click below for Cascabel Weather.